A while back I made a little .NET app that allows you to view the number of users on your IIS box. 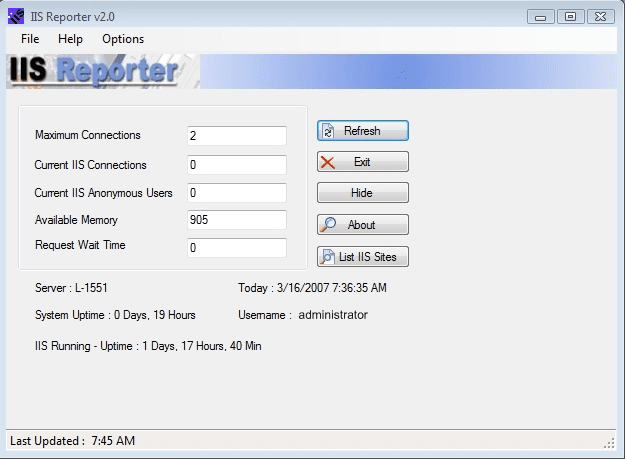 I called it IISreporter. You can read more about it and download the app at www.iisreporter.com. It is free so head on over and signup and download.